When the elderly suffer needlessly due to neglect, the South Bend nursing home negligence attorneys of Nursing Home Law Center LLC seek to deliver an impactful legal response that ensures victims receive the compensation they deserve while other nursing facilities take note of what to expect if they too fail to provide the type of care and respect that our loved ones deserve. Pressure ulcers or bedsores are an inexcusable result of failing to implement the most basic of preventative measures and the product of an aggressive staffing strategy many administrators use to limit overhead and boost margins. Our message to these nursing homes is clear — human life must come before profit. Seniors represent a large segment of Indiana’s fourth largest city. South Bend’s population of over 101,000 includes over 12,500 residents who are over the age of 65. Thousands more are about to join this segment of the community as they just on the other side of divide between retirees and the 50-64 year old population. The addition of thousands of residents to those already requiring senior services is likely to add stress on the system, which is already failing to meet their needs. Anyone over the age of 55 who wishes to delay the need for assistive care in the future by remaining physically and socially active and mentally astute can meet up with likeminded peers at the Howard Park Senior Citizens Center. The programs offered include group outings, workshops with keynote speakers on topics of interest, arts and crafts, health seminars, aquatics, dance classes, Tai Chi, sports lessons and more. For more information, you can visit http://sbpark.org/activities/audience/seniors/. Reviewing the Medicare ratings for all of the 34 nursing centers in the South Bend area can be both discouraging and reassuring. While nearly half of the facilities received three or fewer stars, eleven did earn a perfect grade. This means that while it is not impossible to find a care center which will provide quality care, you need to exercise caution and do your due diligence prior to determining which one to trust with your loved one’s care. 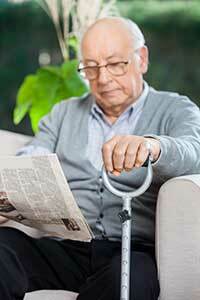 Our South Bend pressure sore lawyers suggest using the nursing home compare tool provided by Medicare at https://www.medicare.gov/nursinghomecompare because it allows you to eliminate homes which have reputations for providing substandard care in a quick and efficient manner while letting you compare homes side by side and search based on distance, quality and available payment options. The myth that nursing patients who are confined to a bed or limited in their ability to move on their own accord will undoubtedly develop bedsores has been disproven. While it is true that these patients are considered high risk and do suffer from minor sores more often than their more capable peers, prevention techniques are so simple that they fall under basic care. All it takes to mitigate the risk is for caregivers to be aware of the patient’s health complications, check in with him or her on a regular basis and shift his or her position every two or three hours. We can understand the development of Stage I sores, but what we are unable to fathom is how a patient could be allowed to suffer from an advanced stage pressure ulcer without anyone noticing. These advanced sores are open, painful and unsightly wounds with a strong odor that can quickly become infected. Failure to act before the patient requires considerable medical intervention can only come down to the inability of an overworked staff to make themselves available to all of their patients on a routine basis. Nursing Home Law Center LLC has successfully recovered fair compensation on behalf of thousands of nursing neglect victims and we have the extensive knowledge, experience and resources needed to pursue justice from large nursing home chains that are backed by expensive legal teams of their own. If your loved one has been mistreated at a South Bend, IN skilled nursing facility, we invite you to contact us today so that you can have your case reviewed for free by an award winning bedsore injury attorney.